The giant trevally is distinguished by its steep head profile, strong tail scutes, and a variety of other more detailed anatomical features. It is normally a silvery color with occasional dark spots, but males may be black once they mature. It is the largest fish in the genus Caranx, growing to a maximum known size of 170 cm (67 in) and a weight of 80 kg (176 lbs). 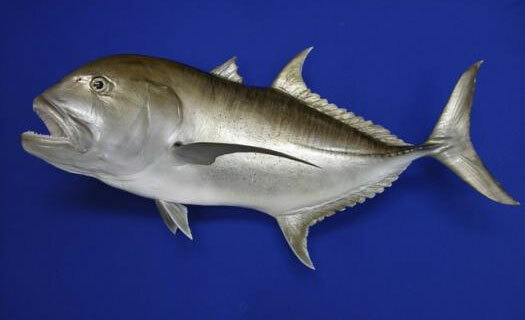 The giant trevally inhabits a wide range of marine environments, from estuaries, shallow bays, and lagoons as a juvenile to deeper reefs, offshore atolls and large embayments as an adult. Juveniles of the species are known to live in waters of very low salinity such as coastal lakes and upper reaches of rivers and tend to prefer turbid waters. 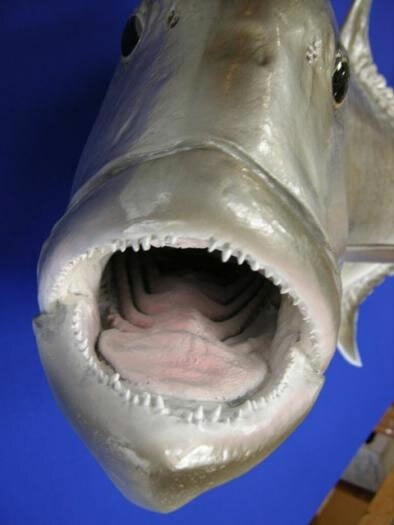 The giant trevally is an apex predator in most of its habitats and is known to hunt individually and in schools. The species predominantly takes various fish as prey, although crustaceans, cephalopods, and mollusks make up a considerable part of their diets in some regions. Footage released in 2017 on Blue Planet II showed a grouping of giant trevally hunting birds in Farquhar Atoll in the Seychelles. The species has some quite novel hunting strategies, including shadowing monk seals to pick off escaping prey, as well as using sharks to ambush prey. The species reproduces in the warmer months, with peaks differing by region. Spawning occurs at specific stages of the lunar cycle, when large schools congregate to spawn over reefs and bays, with reproductive behavior observed in the wild. The fish grows relatively fast, reaching sexual maturity at a length of around 60 cm at three years of age. 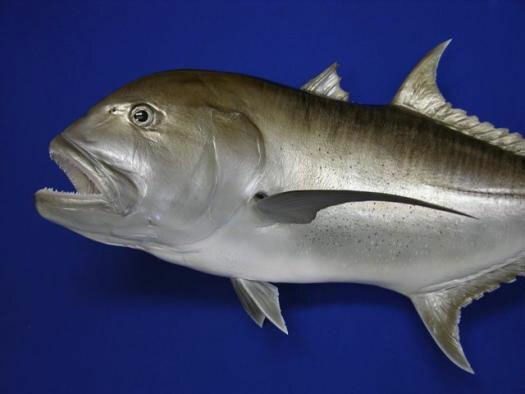 The giant trevally is both an important species to commercial fisheries and a recognized gamefish, with the species taken by nets and lines by professionals and by bait and lures by anglers. Catch statistics in the Asian region show hauls of 4,000–10,000 tonnes, while around 10,000 lbs of the species is taken in Hawaii each year. The species is considered poor to excellent table fare by different authors, although ciguatera poisoning is common from eating the fish. Dwindling numbers around the main Hawaiian Islands have also led to several proposals to reduce the catch of fish in this region.